Africa. That’s a big old continent (second biggest in fact) with wide open spaces, animals and deserts. People live there too, but we are mostly going to focus on the best places to visit in Africa when travelling to the countries. The people you get to see and meet are added bonuses. I might not list all the countries, because some of them are war-torn and I don’t want to be responsible for sending you off to get into a fight with trigger-happy crazies, just itching to blow a hole into anything that moves. You should only go there if you want to find out if you’re like Superman – faster than a speeding bullet. That being said, the rest of the continent of Africa is just beautiful. Going to a zoo is fun, yes, but seeing all the wild animals in their natural habitats is something to behold. 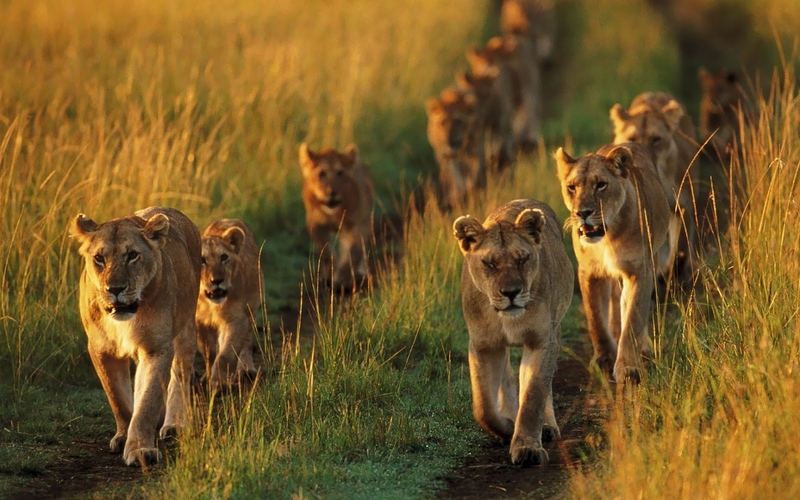 Yes, there are other stuff to see and do as well, but let’s face it, Africa is renowned for its safaris. At 11.7 million sq mi, the second biggest continent covers 20.4% of the total land area on planet earth and is home to 1.2 billion people. So, no. I doubt if I know your cousin Jim. The continent is divided into 54 recognised sovereign countries, 2 independent states with little recognition and 9 territories, including all adjacent islands. 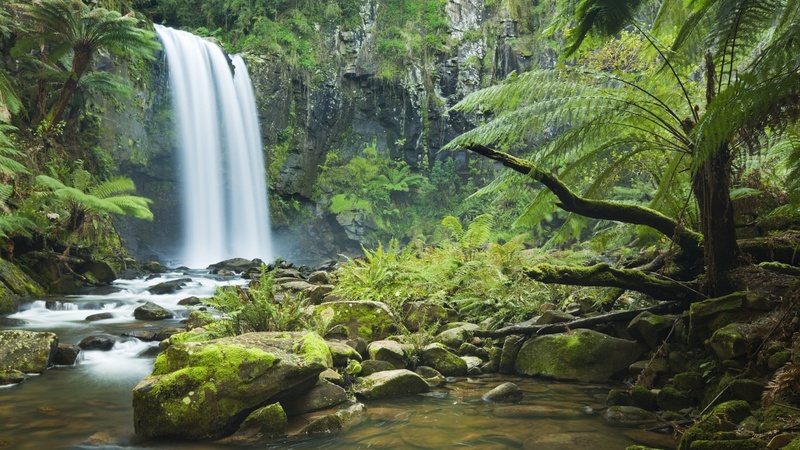 From big cities to small villages, rain forests to deserts; this continent has it all, including one of the 7 Natural Wonders of the World, the Victoria Waterfalls. I covered that extensively in the post called, ‘7 Natural Wonders of the World‘. Since 60% of Africa’s surface consists of deserts and drylands, it is easy to see why it is also the hottest continent on earth. In 1922 Libya recorded a temperature of 58 degrees Celsius. That’s hot enough to turn you into bacon. Africa also has the largest diversity of wild animals such as herbivores, carnivores, amphibians, reptiles, primates and much more, spread throughout the continent in jungles, private and non-private open plains. Africa has over 3000 protected areas. So you exit one and enter the next one. I can see why, because the human population is doing everything in its power to ruin this world. Deforestation is a huge problem as Africa is losing 4 million hectares of forest each year, which is twice as much as the rest of the world combined. If we continue at this rate, everyone will live in the desert at some point. As with all the other continents, except Australia, Africa’s countries are all different from each other. The languages are different. The cultures are different. The people are different. Over 2000 languages are spoken throughout the continent, making Africa also the most multilingual continent on planet earth. I remember a story a teacher had once told me when I was a little boy, about one of the tribes in Africa. As a form of punishment when a grown-up had broken the law, they had to copy a child for the entire day. Whatever the child did, the grown-up had to do. And as any parent will know, a child runs from one activity to another and from one place to another. They have oodles of energy. Imagine the exhaustion after a day like this. Around midday, if I ever lasted that long, I would be begging for the world to end; especially in a 40-degree Celsius heat. We are going to properly explore this continent together. South Africa has plenty to offer, from the world famous Kruger National Park to the equally famous Cango Caves, where you can even ride an ostrich. Moving north you will come across the Okavango Delta; one of the seven wonders of the African continent and a massive inland swamp with many, many animals, birds, fish and amphibians and also a few tribes. Just a hop, skip and a jump across the border into Zambia, one of the 7 Natural Wonders of the World, called The Victoria Waterfalls, will amaze you with so much to see and do, you will need at least 3 days to make it worth your while. 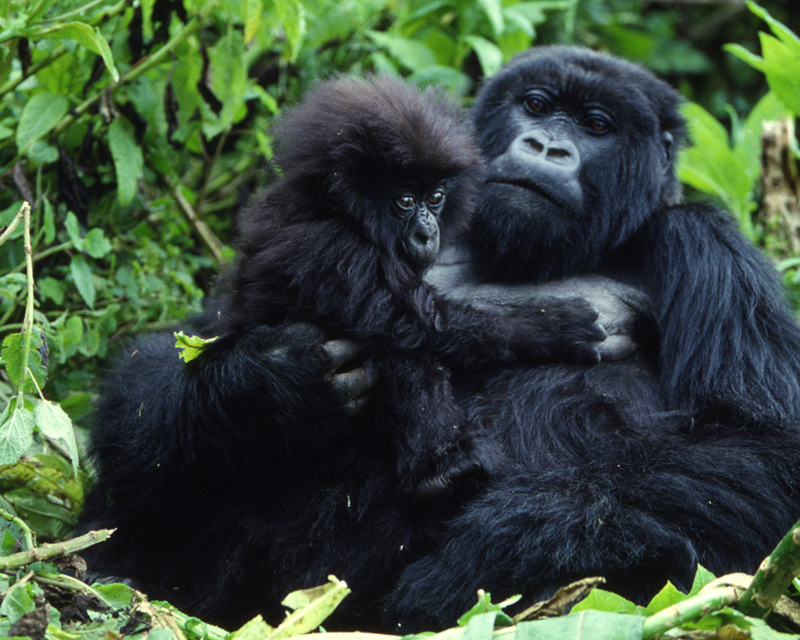 Rwanda and Uganda are home to the Mountain Gorilla, where you can witness them in their natural habitat. As you make your way through the mountains and rain forests, these endangered primates will pop up when you least expect it. They are still wild animals, so make sure that you follow the rules at all time, otherwise you might find yourself the spouse of a very handsy ape. As we move further north, you will have Somalia on your right. Just keep your head down and run until you are past it. They are not the friendly kind of pirate. Think more Davey Jones and less Jack Sparrow. Before we pop out the top of Africa, we will still make our way through the Sahara Desert; the largest hot desert and the 3rd largest desert in the world after the North and South poles. At 3.6 million sq mi, it covers almost the entire top of the African continent and this is where you will find the pyramids, and more precisely, the Great Pyramid of Giza; one of the original 7 Wonders of the World. I know that The Mummy was just a movie, but you should still be careful. Mummy bites are painful. 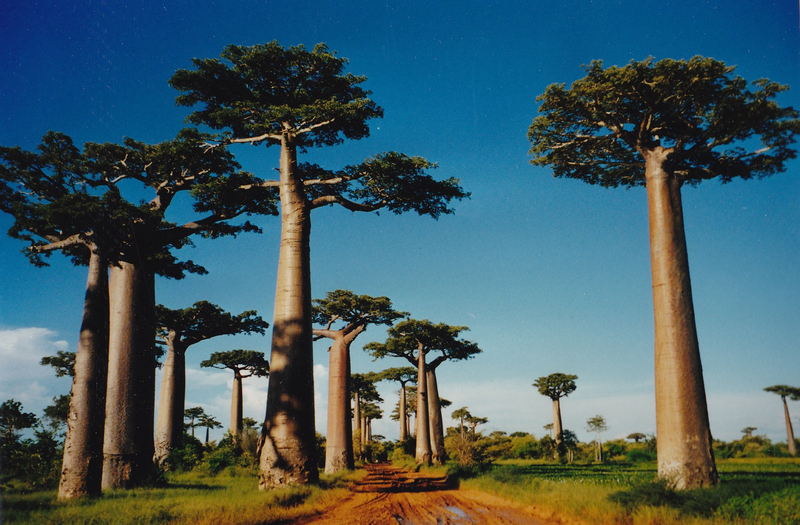 The adjacent islands and part of the African continent, are covered on another page and will include Madagascar; the forth largest island in the world and home to my favourite tree of all time, the Baobab Tree. Not only can they live for thousands of years, they are also the biggest trees in the world. Well obviously not all of them, but every now and then you get a Baobab that gets out of hand; similar to the world’s tallest humans. Hopefully I managed to whet your appetites with these little nuggets, but now it’s time to get down to business. I don’t want to jump all over the place so I’m going to start at the bottom of the map and work my way up going from left to right. You can find the destination of your choice in the list below. This list will be in no particular order, because each of the countries has something special to bring to the table. As covered in the post, ‘Worst Countries to visit in Africa‘, some countries did not make the good list and I urge you to stay away. On this page we only discuss the best places to visit in Africa. Then the best part for me of this entire website will be you, the readers. I would love to hear from you guys. So please email me at jaco@bestplacestovisit.org and tell us about your travels and places you have visited along with some photos. Each week I will post one traveller’s adventures on the very top of the front page for everyone to read. I will then alter it slightly by adding a keyword to your post so that Google can rank it. You might soon find your post on the first page of Google! Feel free to share this page by hovering over the blue button with the white cross, below.